No one understands luxury language holidays quite like Cactus Language. Offering unique and magical experiences combined with our first-class customer service you will feel extra special from beginning to end. Take a look at our hand-picked selection of luxury language holidays for summer 2016. For more information on any of our courses or destinations contact the cactus team by email or by phone. One of our multilingual team will be happy to answer any questions you may have. As the home of opera Verona offers the Opera Festival of Arena di Verona every summer and what better way to indulge in this experience than to attend the festival and try your hand at a spot of opera yourself. The combined course of 20 Italian language lessons, 4 diction lessons and 2 coaching sessions are A?500 per week. The beautiful GLS school is situated in the coolest part of East Berlin surrounded by uber fashionable bars and restaurants. A intensive German course of 30 lessons starts from A?242 per week but the main attraction is the Hotel Oderberger just around the corner from the school. 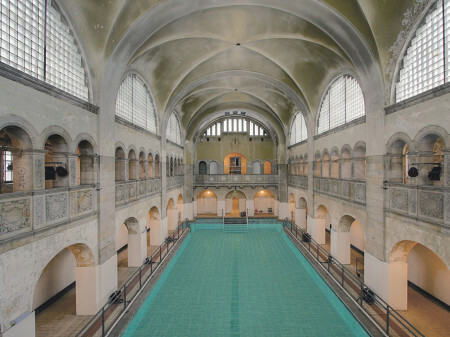 The hotel is on the site of a former magnificent public swimming baths which was originally built in 1902. The modern rooms come with a flat-screen TV, a fridge, a tea/coffee maker and a private bathroom equipped with a rain shower. Spa facilities and impressive swimming pool will be available to guests from October 2016. The wine region of Bordeaux produces over 700 million bottles of Bordeaux wine every year, ranging from large quantities of everyday table wine, to some of the most expensive and prestigious wines in the world. What better way to improve your French than to simultaneously induldge in a little wine tasting. Prices start from A?633 for one week of French language tuition and wine tasting classes. Taking a business French course in Paris is the perfect way to improve your business communication skills and network with like minded professionals. The combined business course includes 15 lessons of group classes and 10 lessons of private classes per week, from A?998. Excuses to visit the Caribbean are not hard to find but here we have one that will exercise your brain activity, improve your French and take you to the bottom of the ocean. In Martinique we offer 20 lessons of French tuition in the mornings with 3 diving sessions in the afternoons for just 435 Euros for the week. For more information on any of our courses or destinations contact the cactus team by email or by phone. One of our multilingual team will be happy to answer any questions you may have.